Close your eyes, imagine yourself soaking up the sun on that pristine beach in the Maldives, enjoying an exotic cruise along the Caribbean, a European tour, Family vacation, Romantic getaway or on an important Business trip in London. At Uniquest Travel we are passionate about travel. With over 20 years of travel experience and offer exceptional deals, a sound knowledge of holiday destinations, travel advice and unparalleled service. Our consultants have a wealth of knowledge and 1st hand experience and we would love to share our expertise with you in planning your next holiday. Uniquest Travel opened it’s doors in 2006 and since then have grown exceptionally, especially renowned for our service and pricing. 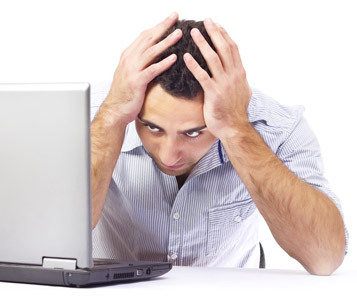 Searching for the right holiday online can be overwhelming. 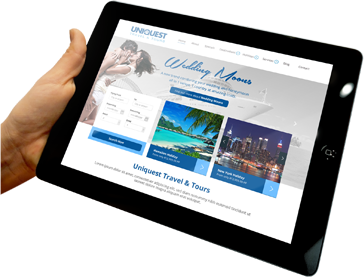 Uniquest Travel offers an easy way to book your holiday. One dedicated consultant will manage your holiday arrangements from beginning to end, obviating the need to repeat yourself or wonder who to turn to for assistance and guidance. Our role is to understand your requirements and take personal responsibility to ensure that no detail is overlooked. We really know the destinations in which we offer holidays, so you may be confident that with our vast experience and knowledge, your travel arrangements have been thoroughly and professionally organized. Uniquest Travel is a dynamic online travel agency offering hassle free corporate, leisure and incentive travel world wide. With our offices in the picturesque of Umhlanga, South Africa, we are able to offer our discerning clients superior products, attention to detail, professional advice and competitive pricing. 95% of our business is from repeat clients, that on its own shows our dedication and commitment in professionally orchestrating your travel experience. Try one of our “special packages” or let us tailor make your holiday using our preferred tour operators, hotels and services around the world. which means a larger buying power thus competitive pricing, a vast number of destinations to choose from, ongoing training of our staff, assistance from our partner offices world wide and expert advice. Need inspiration for your dream holiday, give one of our consultants a call to discuss your travel plans. Uniquest Travel, bringing you unique destinations, unique adventures, unique experiences!